For SALE: CYBERTRON VECTOR PRIME/ENERGON OPTIMUS PRIME PARTS!!! Discussion in 'Items For Sale or Trade' started by tony77tony77, Aug 20, 2011. $35 for White VECTOR PRIME. 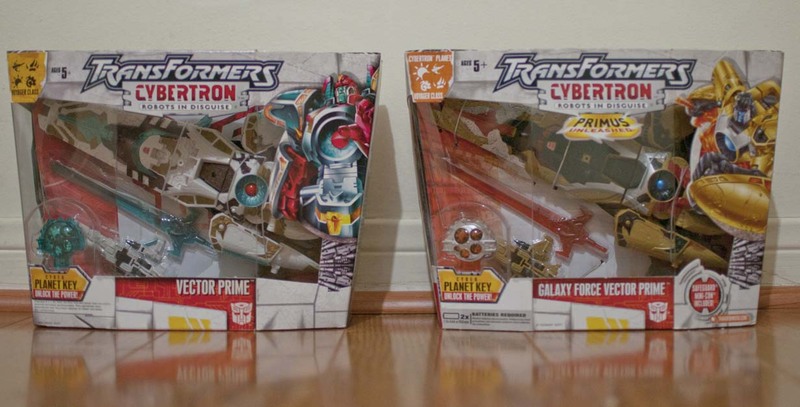 Galaxy Force Vector Prime is SOLD. The White VECTOR PRIME is for sale still. $30 shipped for White VECTOR PRIME. ENERGON OPTIMUS PRIME PARTS Sold!!! yes its energon prime parts. Thread title says cybertron prime, but nvrmnd. MOD please fix my title to "For Sale: ENERGON OPTIMUS PRIME" Thanks!!! Hi. You have to either PM a Mod directly or post a request here. Good luck with your sales. 6. One "buy/sale/trade" and one "want" thread at a time. bump it up!!! ENERGON OPTIMUS PRIME PARTS are on hold.